The demand for faster design and construction work, especially in transport infrastructure and infrastructure projects, has led to the need for faster and more accurate field recording and data processing methods. One of the newer technologies used in the last fifteen years is point cloud technology. This is a set of points of known spatial coordinates that display the object captured by a 3D laser scanner, smartphone, camera, or unmanned aerial vehicle in real time. The object of protection in road or railway infrastructure often includes high and unapproachable slopes. The problem which engineers often face is the provision of quality geodetic surveying for designing. By using the aforementioned technology, an adequate base that is the basis for further research (3D modelling, engineering geological and geotechnical prospecting, calculation of quantities, etc.) and design documentation can be obtained quickly. In recent years, unmanned aerial vehicles (drones) have been increasingly used in different branches of engineering. One of their basic functions is passing over and observing larger areas and denivelation of the terrain. Such aircrafts, usually equipped with a quality camera, are the ideal tool for recording objects such as unapproachable and high slopes. 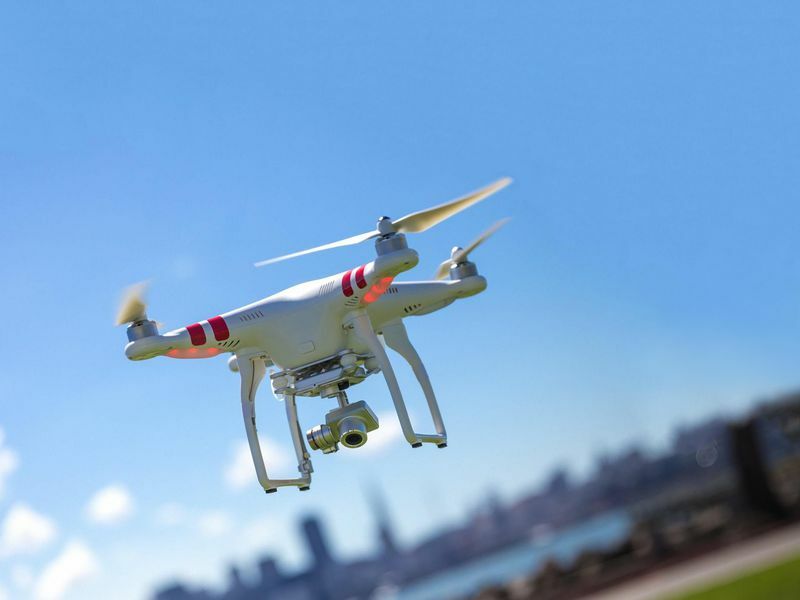 The unmanned aerial system is typically operated via a remote control that is connected to a tablet or smartphone which displays drone flight data (altitude, coordinates, flight speed), transmitting live images from the camera aircraft in real time. The camera is mounted to the drone via a stabilizer that allows it to be directed at any point in the desired direction. Using the remote control, it is possible to rotate the camera in all directions (horizontal / vertical without moving the drone itself). Slope recording can be carried out from different heights and a route can be assigned to be crossed a constant speed. This way, it is possible to get many of large surface photographs with adequate overlapping (minimum 60%). 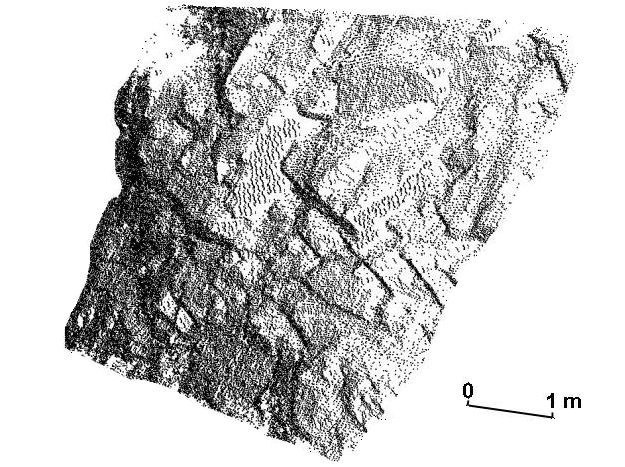 With the development of computer visualization and computer algorithms for the recognition of the same photo forms (SfM photogrammetry), it is possible to obtain a three-dimensional model of a specific object with the help of available software packages. The uploaded photos are merged using the aforementioned algorithms and as the ultimate product they give a 3D model in various digital formats that are compatible with other software packages for further processing. 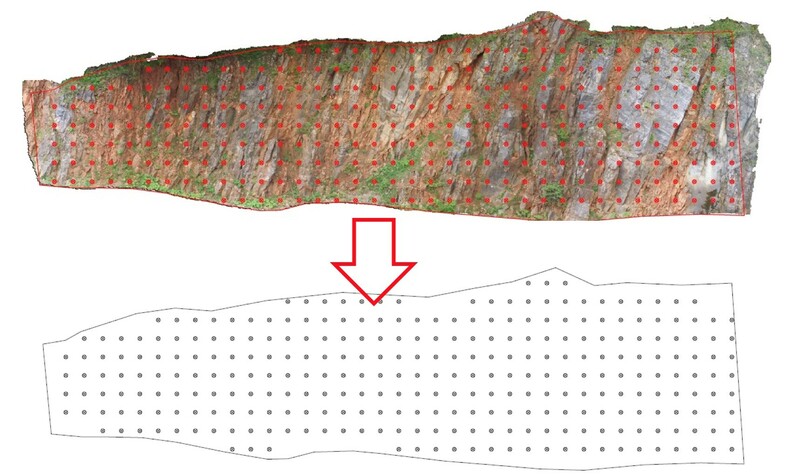 Based on the obtained model, it is possible to generate a view on the slope and to execute the engineering geological and geotechnical prospecting, as well as to determine adequate security measures. The Geotech company has two drones (with associated permits and licenses). If you need to record an unstable slope, feel free to contact us. The unmanned aerial vehicle is the best solution for hard-to-reach areas!